Ryan Lochte robbed at gunpoint in Rio de Janeiro. 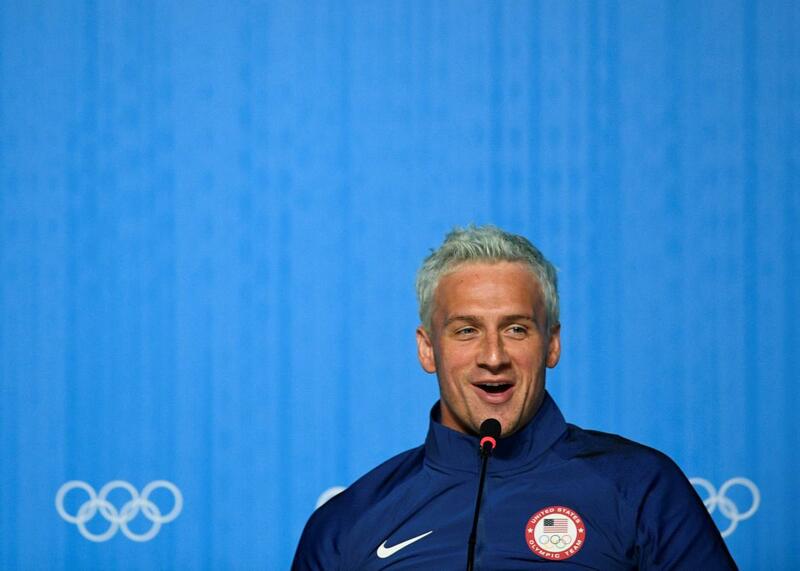 Ryan Lochte holds a press conference on Aug. 3, 2016 in Rio de Janeiro. At first, International Olympic Committee spokesman Mark Adams was adamant when asked about a report that U.S. swimmer Ryan Lochte had been robbed at gunpoint in Rio de Janeiro. “I can tell you the story is absolutely not true,” Adams said on Sunday. With the denial of what he described as “a false story,” Adams was essentially calling Lochte’s mother, Ileana Lochte, a liar. After all, she was the one who told Fox Sports that her son and three teammates were robbed early Sunday morning. Lochte called his mother Ileana immediately afterwards. She told @FOXSportsNews it was "terrifying" and has just left her hotel to meet him. Multiple confirmations Ryan Lochte was robbed at gunpoint early AM. Bear in mind the IOC's first words on this were total denial. Video posted online that appears to be taken from Lochte’s Snapchat account shows Lochte and Pereira partying at a club before the robbery. As Slate’s Henry Grabar pointed out, before the games began a Formula 1 executive’s mother-in-law was kidnapped and later freed by police, while a non-Olympian jiujitsu star was robbed by the police themselves. News Corp photographer Brett Costello had $40,000 worth of equipment stolen in a Rio café early on in the games only to find the apparent thief pretending to be him a few days later at an Olympic event. Update, Aug. 14: In an interview with NBC News, Lochte gave his account of the robbery. We got pulled over, in the taxi, and these guys came out with a badge, a police badge, no lights, no nothing, just a police badge and they pulled us over. They pulled out their guns, they told the other swimmers to get down on the ground—they got down on the ground. I refused, I was like we didn’t do anything wrong, so—I’m not getting down on the ground. And then the guy pulled out his gun, he cocked it, put it to my forehead and he said, “Get down,” and I put my hands up, I was like ‘whatever.’ He took our money, he took my wallet.